I mean, GOOD HEAVENS JUDITH. And it goes on for like two more pages. 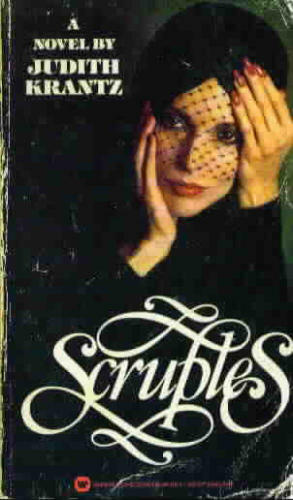 Fifty Shades has NOTHING on Scruples. I started writing my first draft the next day. Read this book. It’s only $7.99 on Amazon! You can probably even find it at the library. And now Natalie Portman is producing it as a TV series…life is good. Jil Sander pre-fall 2012 collection. Francesca Ghiberti leaned forward into her tripod to keep the heels of her four-inch Manolo Blahnik booties from sinking into the turf of Stadio dell’ Alpi. “A little to the left,” she called, gesturing with her left hand to the models in front of her camera. The girls, all young, all pretty, wore designer sportswear and high-heeled wedge sneakers and shuffled confusedly, first to their right then to their left while Francesca snapped photos. 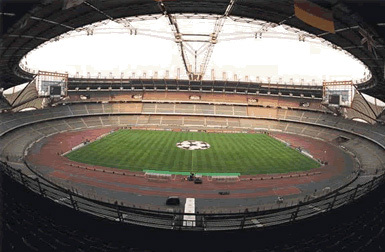 A man in a training uniform ran out onto the field, then another, then about twenty-five of them, in a jagged formation, jogged onto midfield and right in between her camera and the models. Two assistants unleashed a mesh bag of soccer balls and the field became a chaotic fractal of players and balls. A boy-man wearing neon yellow Air Jordans, Y-3 track pants, and a D&G singlet with a screenprint of Kim Basinger ran up to her, iPhone in hand. “We should have it for another hour,” he said breathlessly. Timo had moved to Milan from a tiny town in Liguria, which he left as the only openly gay graduate of the local secondary school to attend art school. Francesca hired him as an intern and begged him to stay on after he’d finished school, which conveniently coincided with her becoming renowned enough to need an assistant, and to be able to pay one, too. “Hey!” she waved at the football players, moving out from behind her tripod. “Hey, what are you doing? I’m trying to shoot here!” She staggered a bit as she tried to keep from losing her heels to the turf. Francesca felt a hand balancing her back and turned to face the voice behind her. “Pardone, signorina.” With an exaggerated gesture, the uniformed player apologized. “I’m supposed to have another hour here,” she said, scrolling through a list of emails on her phone to find the confirmation. “We always start at two on Thursdays,” the man said. Francesca looked up from her phone at him and suddenly wished she’d done so sooner. Long hair pushed back in a headband, the way that football players do, dark brown and shiny. Equally dark, playful eyes. And though he was only a little taller than her nearly six feet, he had a body like a god. Muscular from his football playing and tan from days in the sun, he exuded sensuality from every pore of his body. Maybe this wasn’t so bad, she considered. The models were flirting with the players, who were posing ridiculously, hands on hips and chins cocked up, aping the girls. She ran to the camera and started shooting again. “It’s ok. We’ll finish soon. I like these shots–they’re different. Do you have an agent? Someone we can contact to get permission to use images of the team? TImo–” she called her assistant over again. “Timo, find someone to give us permission to use the team in the photos.” He scurried off again. I love searching The Sartorialist’s Milan posts for the men and women who make up Francesca’s world. As a fashion photographer she is keenly aware (like Scott Schuman) of the precise moment to capture someone’s essence. Though I’m a New Yorker and it pains me to say this, Italians really are the most stylish people on earth.